Have fun with the game of killing germs! You would be surprised with such a simple game can do. As a VFX developer and father of two, solving problems had become second nature. My son loved shooting bubble guns, but they broke easy and often, which meant I always had to clean up his mess. 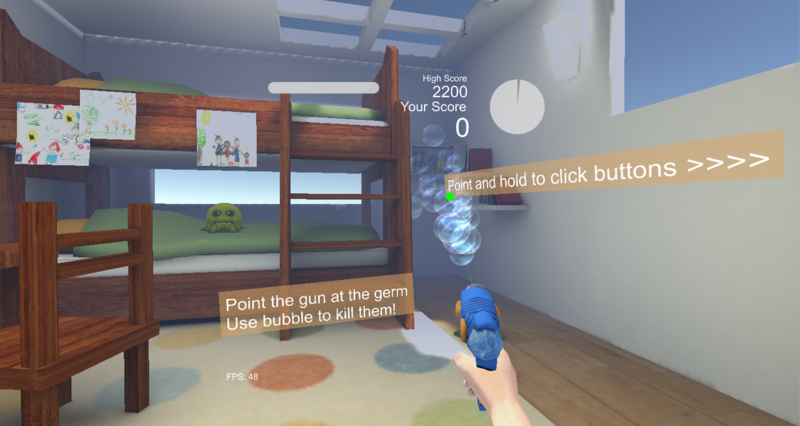 That was why I decided to build a VR bubble gun at the first place. 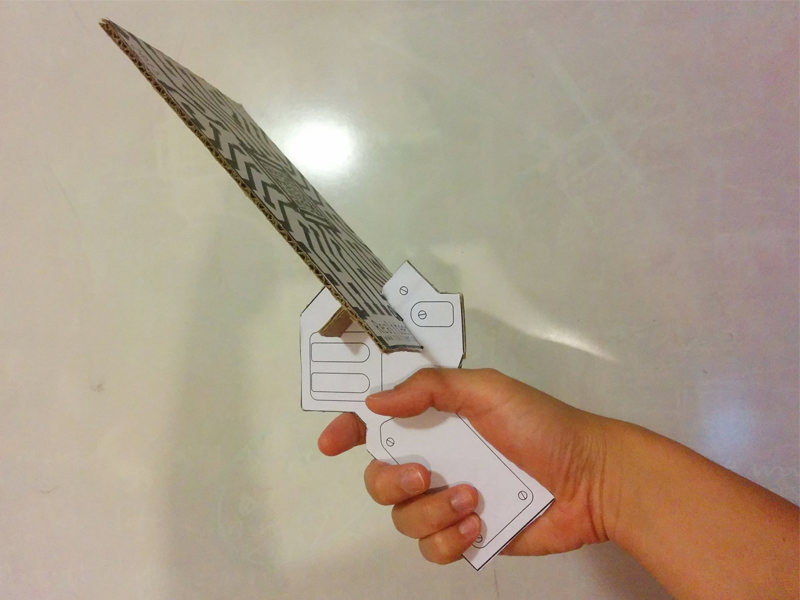 I printed out patterns for image recognition and cut open his diaper box to make the handle. 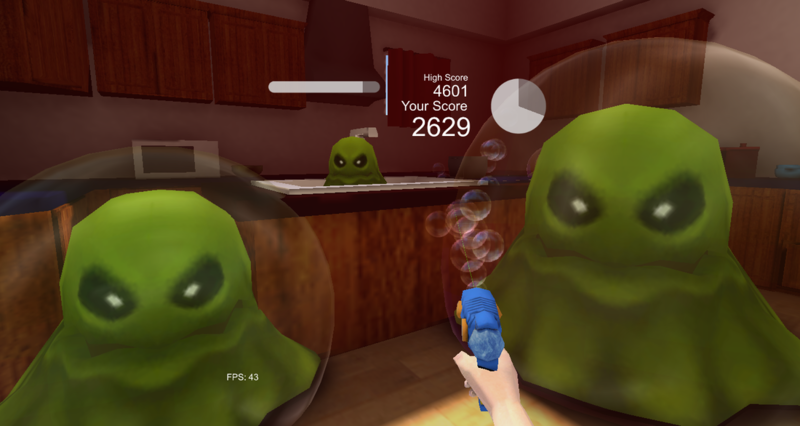 Soon, my son got an unbreakable bubble gun in the VR world, and I could stop cleaning up constantly. In the meanwhile, I also wanted my son to learn about germs. That is why the first game involved the killing of lots of germs. To my surprise, my son enjoyed killing all the VR germs in the VR environment. His positive reaction to the whole experience inspired to build a company around my creation so that I can share the fun with the world. What we have can be much more than a simple game for kids. We want to apply our technology to solving big societal problems, such as access to education, technical training (i.e. medical surgery practice), and architectural design, and much more. 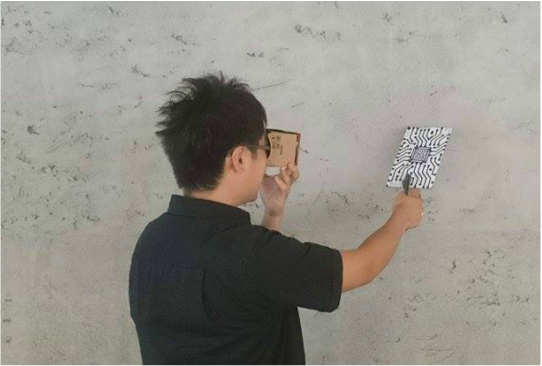 Because our product is super affordable, we believe it can pave the entry way of Virtual Reality for every household. 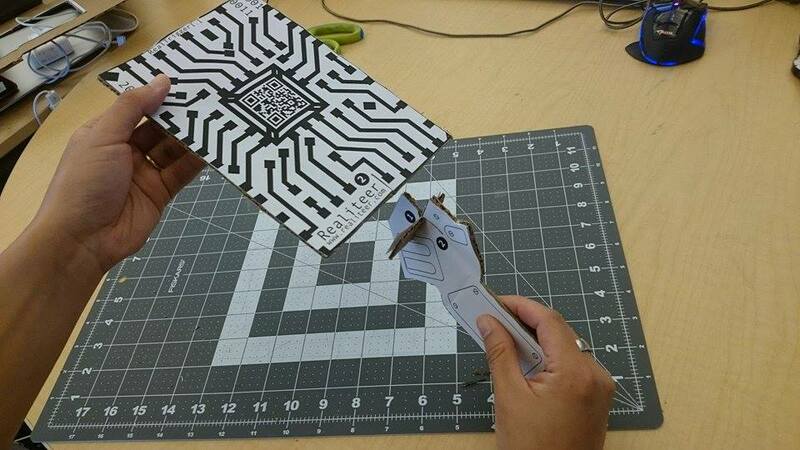 ﻿The most special thing of our product is that we have the most innovative trigger for cardboard. 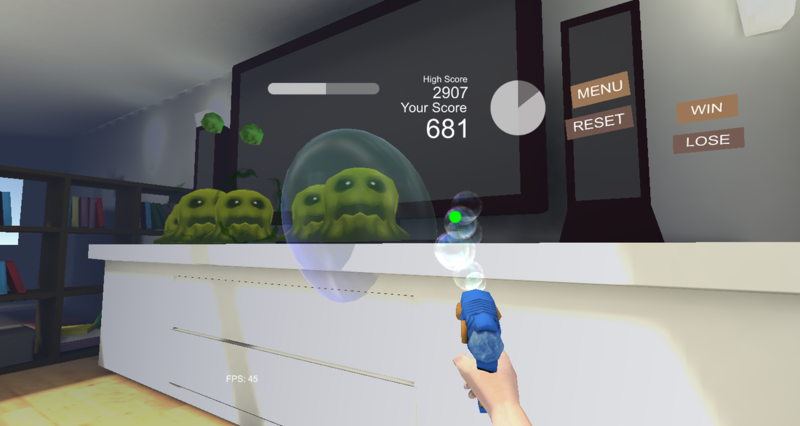 When you use our product, it seems that you really holds a bubble gun to clean up the house. Seeing your hands in virtual reality can not only increase interests to the game but also somehow prevent motion sickness. Having a trigger for virtual reality might not be something new, but having a trigger that can be made by yourself will definitely be a brand new trend in the future. Using this six-degrees freedom trigger will be more realistic while playing the game and make imaginations come true. 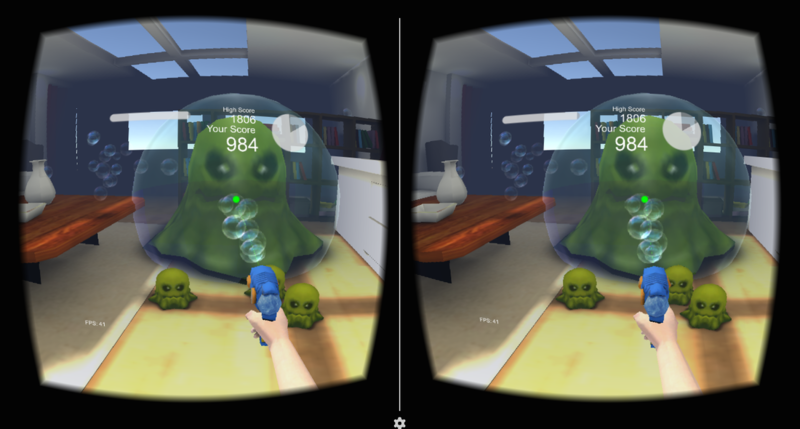 Virtual Reality is for everyone, so why not download the app and enjoy the game? Currently, the app is only tested for Android 4.4 and above due to third party libraries. It may not work properly if your phone is running an older OS. We are trying our best to solve this issue. Please keep eyes on our update.